When the Health and Safety Executive was set up, almost forty years ago, it was considered important that it had the confidence of both employers and employees and rightly so. For that reason the Health and Safety Commission was set up to agree any new regulations. There were three worker representatives (proposed by the TUC), three employers representatives (proposed by employers’ groups) and up to three others. No decision could be made without the support of both employers and employee representatives. This meant that any changes to health and safety law were seen to have come about by consensus, achieved through a common purpose of improving health and safety in the workplace. This system has survived almost intact, although there have been some changes. When the Commission was replaced with a Board the membership was expanded from a maximum of 9 to 11, although the three worker and three employer representatives remained. Also in recent years decisions have been made which did not have the support of both sides of industry, such as the decision to exempt some self-employed people from health and safety laws. However, the tri-partite principle remained and, as a result, unions at least felt they had a voice after all the law still required the Secretary of State to consult with “bodies representing employee interests” before appointing the three employee board members, and each of these three were active trade unionists supported by the TUC. Earlier this year there was a vacancy for one of these seats. The TUC supported a candidate who has huge respect within the trade union movement; Matt Wrack, the General Secretary of the Fire Brigades Union. Matt is a member of the General Council of the TUC and has a wealth of experience in safety issues. He also has strong links with the world of work. Last month the Government announced that they were going to appoint someone else. They did so without any meaningful consultation with the TUC, or any union bodies. They hand-picked a retired union general secretary who had not been nominated by a single union (even his own previous union). Now this is not about the individuals, it is about who can decide who represents workers. If the government can decide this without any discussion with trade unions then it makes a mockery of the whole process. As Hugh Muir pointed out in the Guardian, they could just as easily appoint Norman Tebbit, after all, he was in a union once. The decision not to appoint Matt Wrack shows exactly what the Government wants, which is a compliant board there to administer the organisation and make sure it delivers what the government wants. It wants to smother any independence and any challenge. As a result we will end up with a board of professional committee-members, something the Nolan Principles on public life were designed to avoid. The TUC has always nominated people who still have a strong and current link with the world of work. If you look at the present board, with the exception of the TUC nominees, all the other ordinary members of the board of the HSE are either retired or semi-retired consultants. I somehow doubt that this is what Robens* intended when he recommended a tri-partite HSE. This may seem like sour grapes from the TUC after we did not get our own way, but that is far from the truth. Of course, we understand that the Secretary of State has the final decision, but if the HSE Chair and DWP minister want to maintain trust in the HSE, the onus is on them to show that they have listened to the voice of working people and that the successful candidate carries our confidence. We care about the HSE, and more importantly we care about health and safety. It was recognised 40 years ago that the most effective regime was one which involved collaboration and tri-partitism. Ditching that model means that the HSE will lose all its independence and become simply a blunt instrument for politicians to use to push through their own short-term agendas, as we are seeing at the moment on issues such as regulation, inspection and enforcement. The losers will not be the TUC, but the credibility of the government’s claim to have an independent HSE and ultimately the workers whose lives and health will be put at risk. *Lord Robens produced the report that led to the creation of the HSE. And now the Tories nearly complete the task set out by David Cameron in 2009 when he started the Red Tape Fallacy con trick. 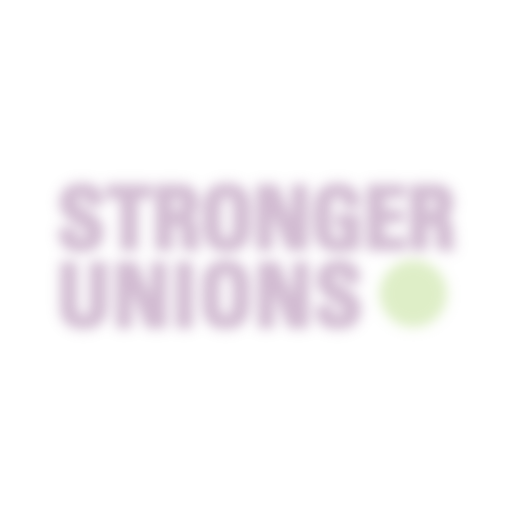 The trade union movement have established the most successful worker involvement model for improving health and safety standards in the UK. In a study in 1995 the researchers found that in organisations where trade union supported safety reps were operating – usually working with managers through a safety committee – the accident rates were 50% less than when managers alone made decisions over health and safety. The data was from the whole of the UK manufacturing industry. Had such an outstanding result been achieved by RoSPA, IOSH, the British Safety Council or any other professional organisation, it would have been shouted from the rooftops and been the basis of UK health and safety policy. Instead the HSE estimate that 60% of the workforce are not even consulted over health and safety issues – which is, of course, illegal. On the other hand in the European Parliament on Wednesday 8th May the Socialist and Democrats Group had a seminar on ‘Health and Safety at Work: involve the workers’. They agreed that worker involvement should be taken as a central strategic issue in social and economic policy. Why? – because greater worker involvement leads to improved health, safety and business performance. They accepted that improving worker involvement will assist in getting us out of the current economic mess we are in. Meanwhile the 19th Centuary thinking of the UK Condem government want to maintain clapped out working practices [long working hours]by keeping an ‘inefficiency opt in’ through the Working Time Directive; encourage incompetent management practices, thus increasing the number of stess related cases in the workforce; and taking away employment rights from workers so that employers can truly re-engage with the 17th Century employment concept of ‘master/servant’ relationships, none of which will improve the health and safety standards of working people. Perhaps the trade union and Labour movement can have its own review of health and safety regulation. However this time instead of looking for mythical burdens, they should highlight the successes – there’s shed loads of evidence about the benefits of health and safety regulation and enforcement. They could then remind the HSE of the measures that can be taken to succeed in their role to protect the nation’s workforce, thus inceasing the efficiency of business, as well as improving peoples’ quality of life. 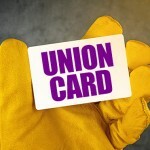 It should be about the individual – that person in accepting the Government nomination has betrayed the Union Movement. The HSE is yet another Government Agency – NOT FIT FOR PURPOSE. I applied for the role on the Board with all sincerity as an active safety campaigner for offshore safety, last weeks event in Aberdeen was a great opportunity to both commemorate the lost souls from Piper Alpha and also come clean on the culture of conformity that exists on paper is not the same as the reality at the work face. safety Cases are built on this same falsehood. 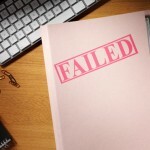 Health and safety – Time to return to basics Government fails end of term health and safety report. HAPPY BIRTHDAY HEALTH AND SAFETY AT WORK ACT Health and Safety Executive – Reviewed to death?